The mystery of this porridge is that there’s no references to it in the net, or at least none that I know of. 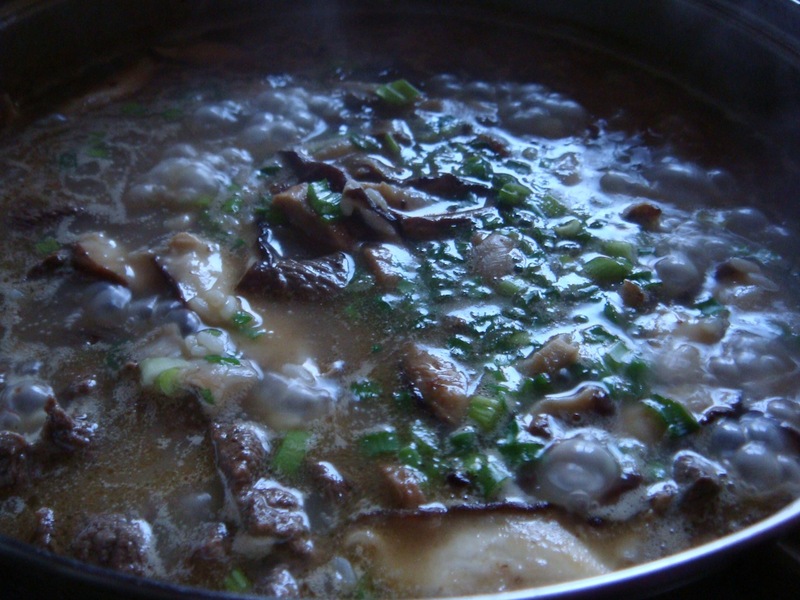 The recipe I found is from a book “Growing up in a Korean Kitchen: A Cookbook“, which has been published in 2001. 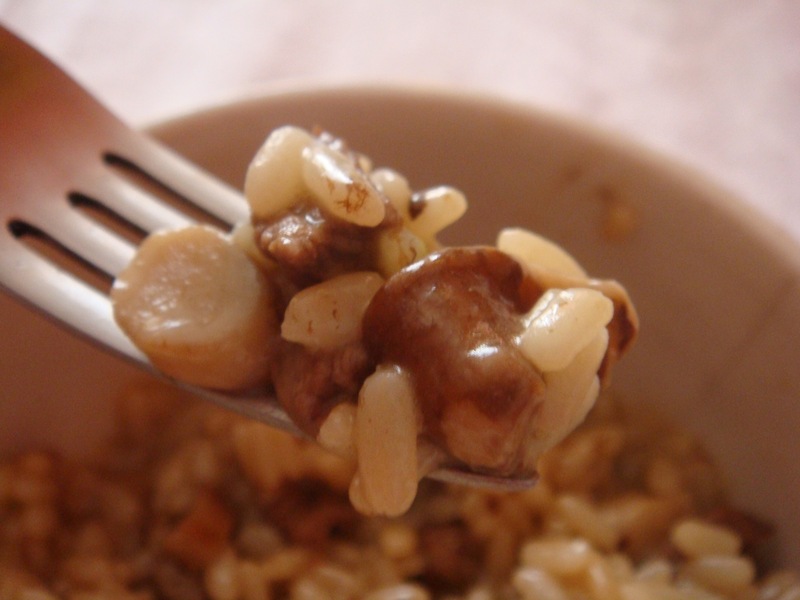 P’yogojuk 표고죽 looks like a risotto and is similar to a grainy cream of mushroom soup. The recipe is pretty easy and it takes only 40 minutes to fix it. 6 cups of chicken stock. 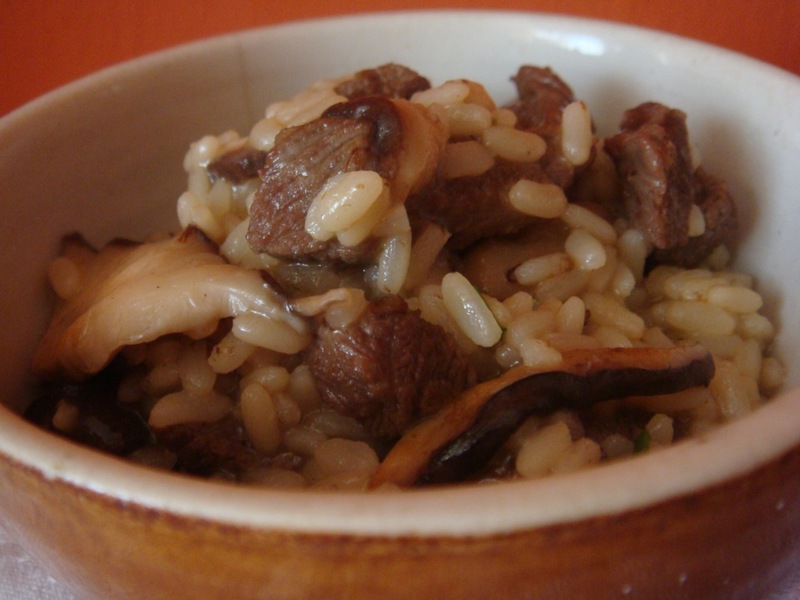 Soak the rice in hot water for 30 minutes, drain and set aside. Heat 1 tablespoon of the sesame oil in a pan, add the meat and fry for 3 minutes. 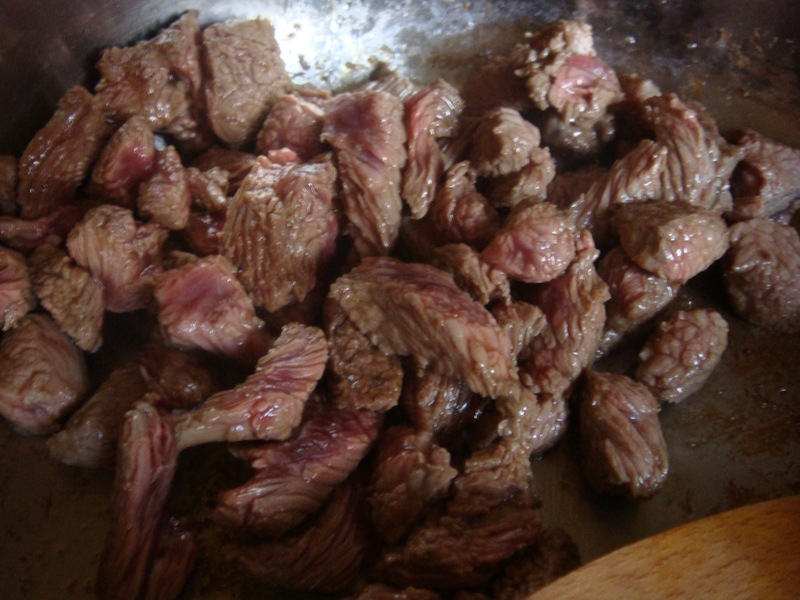 Put the meat into a bowl, leaving as much oil in the pan as possible. 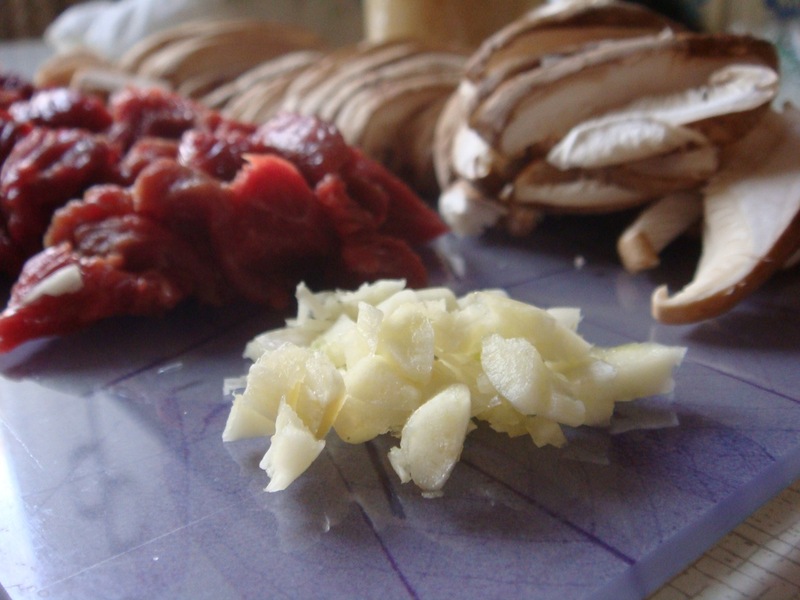 Fry the garlic and shiitake mushrooms for 5 minutes, and place them in the same bowl as the meat. Heat the remaining 1 tablespoon of sesame oil, add the rice and toast it for about 15 minutes over medium-low heat, stirring constantly. 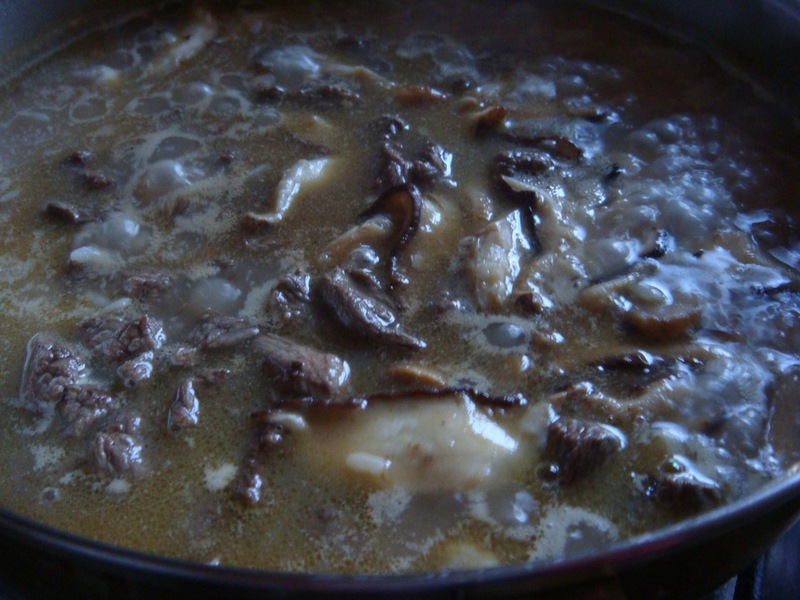 Add the meat, mushrooms, chives and chicken stock. Bring to boil and decrease the heat to low. Simmer the rice for 15 minutes, or until it’s cooked to the desired consistency. Serve it hot with soy sauce, salt and freshly ground black pepper.